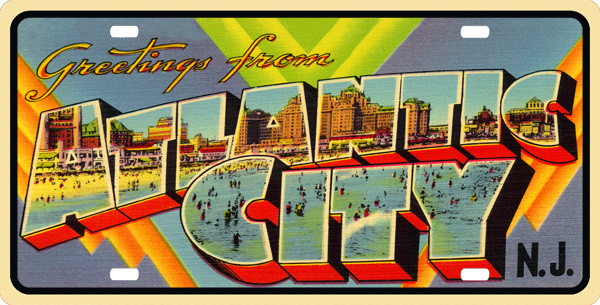 Atlantic City License Plate is a wonderful destination, and depicted in full color in this vintage post card design. Atlantic City, New Jersey! Visiting the boardwalk and the sites there are an American bucket list item, Let\'s go & eat plenty of salt water taffy!